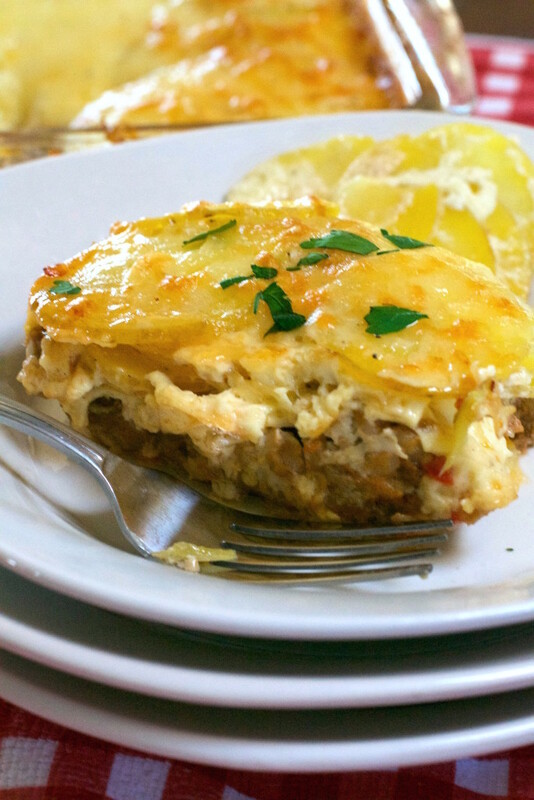 Scalloped Meatloaf Casserole - What the Forks for Dinner? 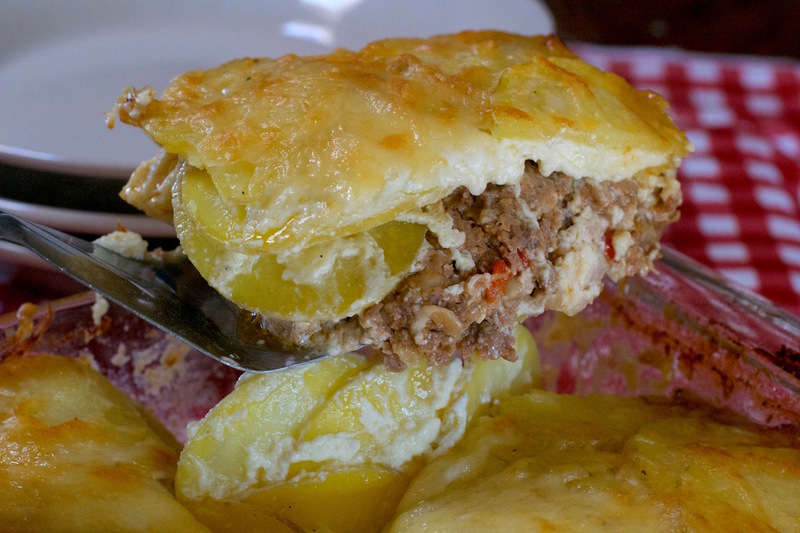 Comfort at it’s best……..Meatloaf and scalloped potatoes. 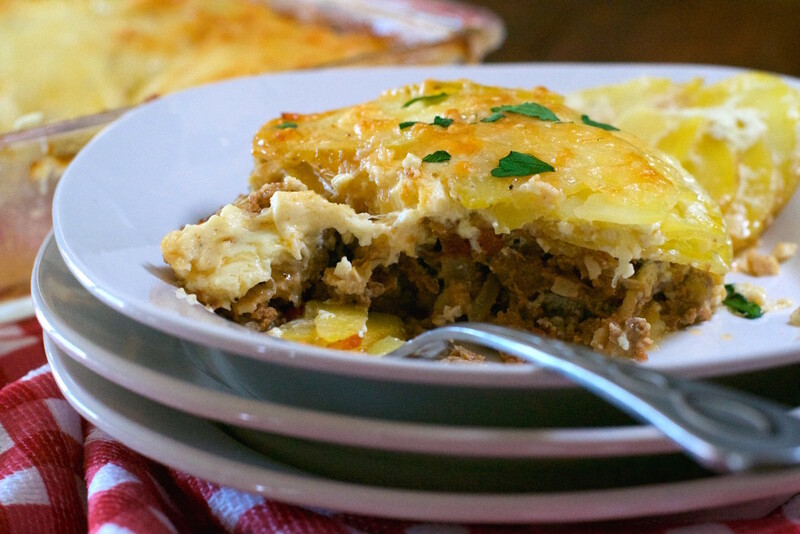 Even better all in one dish……..Scalloped Meatloaf Casserole. There is something about meatloaf and scalloped potatoes that just go together. Although mine is not in the traditional loaf shape, it still has that homemade taste of comfort that only meatloaf brings. Scalloped potatoes ,creamy and cheesy, warm and bubbly……side for meatloaf. How about perfect topper for meatloaf???? That’s right, smack dab on top, and baked together for an easy one dish meal. I have never really written down my meatloaf recipe before, and I change it frequently,so feel free to change it to you liking. The potatoes are from a recipe that I can’t remember where it came from (imagine that), but it is one that is just stuck in my head. The simplest scalloped potato recipe ever. Potatoes sliced thin, and covered in an egg, cream, and cheese mixture. A pinch of nutmeg for that little background taste that you know it’s there, you just aren’t sure what it is……that’s nutmeg in any cream dish. Put the meatloaf on the bottom of a baking dish, cover with the potato mixture and into the oven. 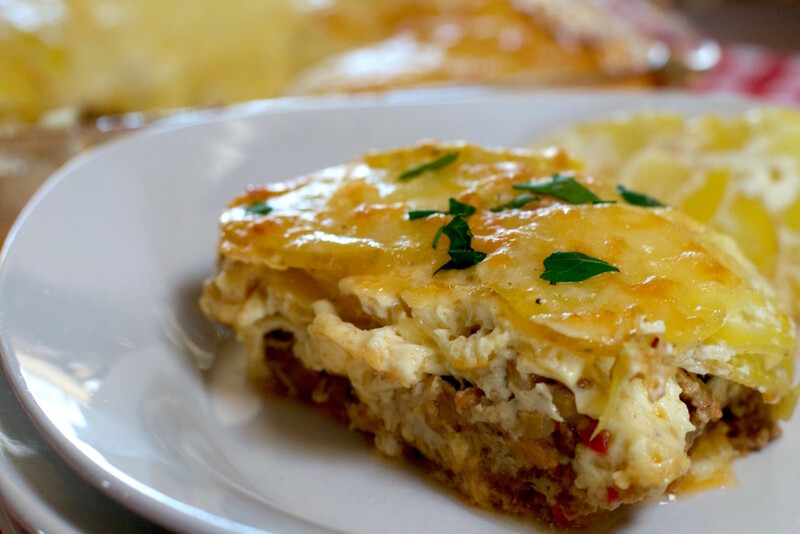 A little more cheese once the potatoes are tender and the meat is cooked throughly and you have…Scalloped Meatloaf Casserole. 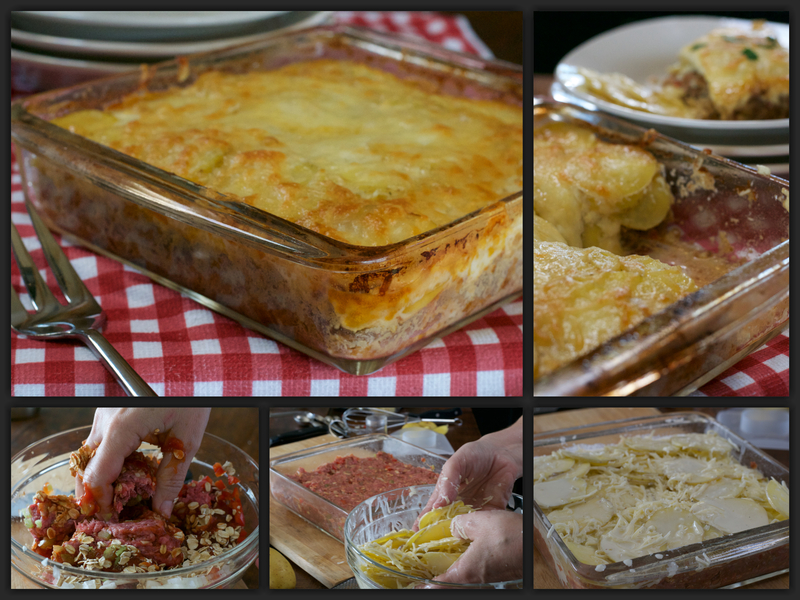 Easy one dish match made in heaven meal that your whole family will love!!! Using clean hands mix all meatloaf ingredients throughly. Place mixture in an 8 X 8 inch baking dish sprayed with non stick cooking spray. Press mixture evenly in prepared dish. Set aside. In a large bowl whisk together cream, egg, salt, pepper, and nutmeg. Stir in 1/4 cup shredded swiss cheese and potatoes, making sure to coat potatoes evenly. Remove potatoes and place on top of meatloaf mixture in an even layer. Pour remaining liquid over potatoes. Cover dish with tin foil and place on a foil covered cookie sheet ( just in case mixture bubbles over). Place in preheated 4375* oven for 45-60 minutes or until the potatoes are tender and the internal temperature of the meatloaf is 165*. Remove foil and sprinkle with remaining 1/4 cup swiss cheese. Return to the oven uncovered for an additional 5-10 minutes to melt the cheese. If you prefer your cheese more golden brown, place under the broiler for several minutes. Remove from oven and allow to set for 5-10 minutes to set up.